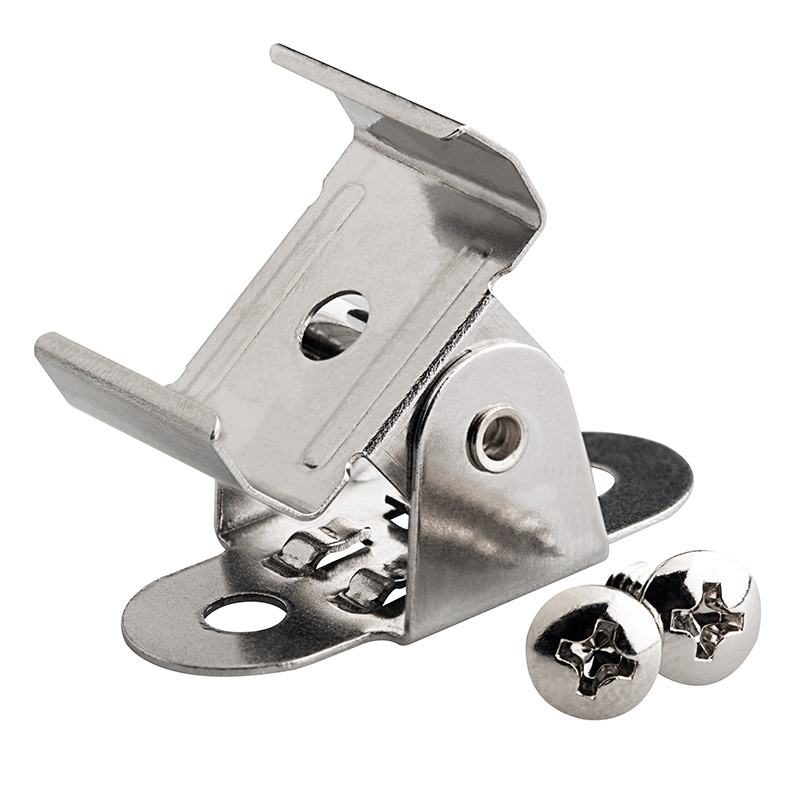 LBFA-MC3 aimable mounting clip with 2 included screw for the LBFA LuxBar series light fixture. 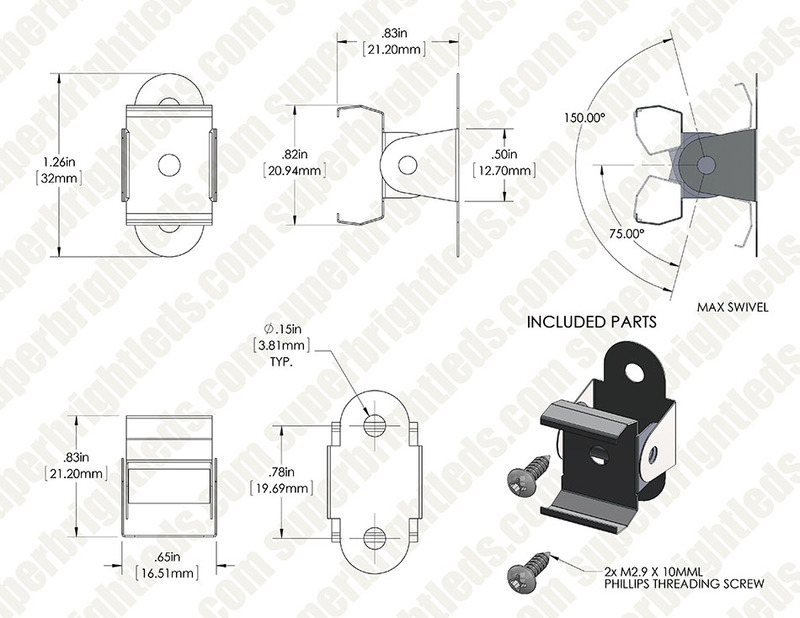 For mounting LuxBar light fixtures with the use of +/- 90 degree aiming capabilities. I think these adjustable mounting brackets are excellent value. They seem to be designed in a very simple and efficient way. I have two 3-foot-long LED light strips to light up one of my workbenches in my clock repair shop, and I use these brackets to hold one of the strips. This allows me to change the angle of the light from this strip. 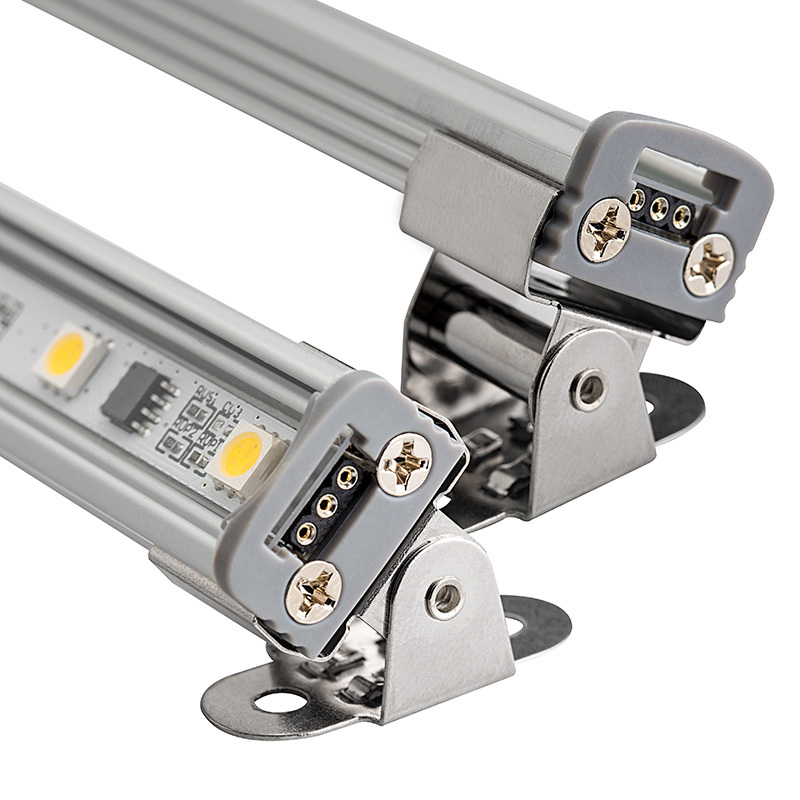 The other light strip is held in place with four of the the simple one-piece brackets. One thing I like about the adjustable brackets is how firm they stay - when I found the angle I like my light to aim, the brackets stayed firm so they didn't just fall back, like they would do if they had been built with sloppy construction. Low price, good construction = good value. Works as advertised. I used two clips per 12" light bar and they're solid. You may be able to get away with one per bar, or one per junction (if you splice two bars together with a double pin connector). Work fine, keeps the lights aimed and steady.